Designing, manufacturing, and installing aluminium windows from their headquarters in Holmfirth, Huddersfield, aluminium window specialists Clear View have seen huge improvements over the last 10 years in aluminium windows, which now offer many advantages over PVC. Early aluminium windows were thought to be utilitarian, being available only in a basic design, and in silver colour. The ‘new’ PVC was more popular for the domestic environment because it offered choices of clean white, or ‘wood grain’ effect. Now, though, Clear View is seeing aluminium overtake PVC as a stylish choice for windows, suited to both the domestic and the commercial environment. Aluminium has a high strength-to-weight ratio, and can be manufactured into many different designs, sizes and shapes. This increased strength and reliability has made it traditionally more popular for commercial uses, where windows are generally on a much larger scale than in domestic environments. Due to the greater strength of aluminium, larger window frames can safely be made slimmer in aluminium than in PVC, giving a more modern, sleeker look. 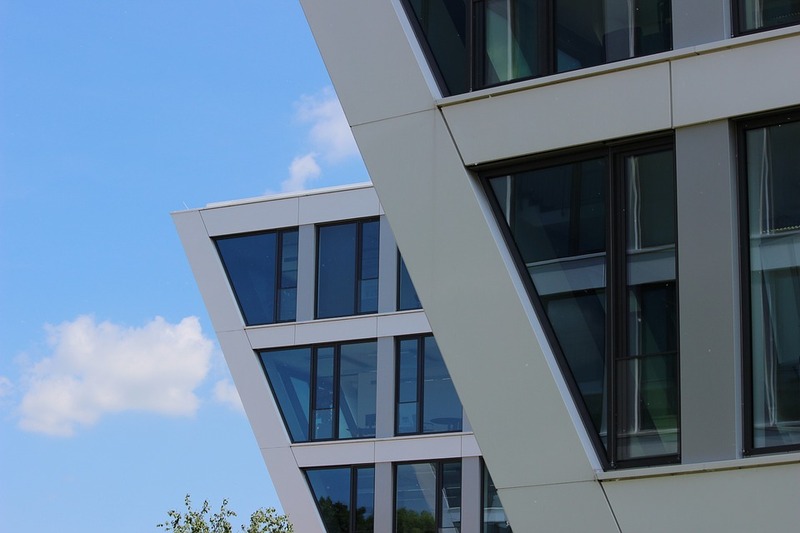 Joints and corners in aluminium window frames are neater in general than those in corresponding PVC products – the overall look is smoother and more tailored. The aluminium window frame is crafted with mitre cuts, and neater joints, whereas the PVC frame will usually be welded at corners, giving less of a tailored finish. Recent advances in polyamide technology have created improvements in thermal insulation for aluminium window frames, offering increased strength and the opportunity for dual colour finish, with different colours on the internal and external faces. This is a very popular choice for buildings with special architectural character, such as traditional older style homes, where the internal and external décor follow different trends. Colour options for aluminium windows are vast. Clear View offers a choice of 200 shades from their design workshop in Huddersfield. Not only are aluminium window frames good looking, they will remain so for much longer, having increased durability, and resistance to denting, scuffing, and weathering. Aluminium window frames are suitable for most building purposes, conforming to the highest standards for air and water infiltration, structural integrity, and security requirements. While PVC window frames have been popular in the domestic market for many years, these recent improvements in the quality, durability, and aesthetics of aluminium window frames are leading to aluminium being a popular choice for today’s homes. Commercially, aluminium is still the number one choice, due to its strength, durability, versatility, and long-lasting good looks, but recently, the domestic market has begun to see the advantages of this much-improved product. To enquire about the advantages of aluminium windows for your home or commercial building, call Clear View, the aluminium window specialists, on 0800 1357167.